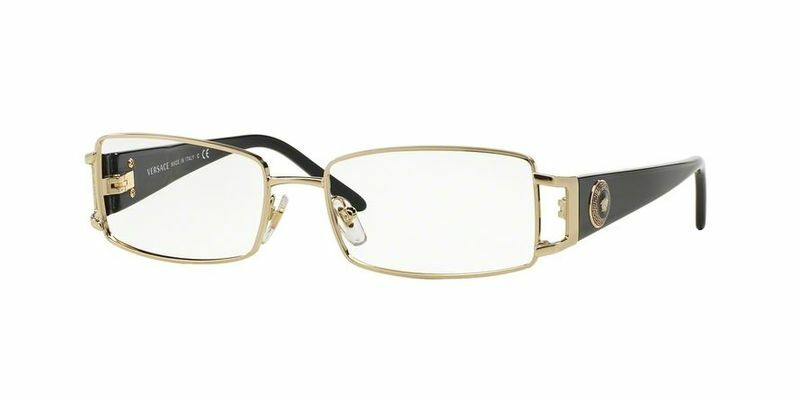 You'll fall in love with these classic full-rim Versace VE1163M frames as soon as you try them on. The classic design suits most people, making these some of the most versatile eyeglasses on the market. These sharp-edged rectangular Versace VE1163M frames with thicker edging are statement glasses that offer a bold look, which only some people can pull off. Perfect for those with round or oval faces, these frames will help add more definition and give you some serious street-cred at the same time. Look knowledgeable and fashionable all at once with these classic-looking frames that are timeless. If you appreciate elegance, this is one eyewear style to experiment with, because you can't really go wrong. You'll never have to adjust these comfortable medium temple Versace VE1163M frames - they sit perfectly, and at times, you'll forget you're even wearing them. Love them and they also need to make them for men too but I like to say thank you.